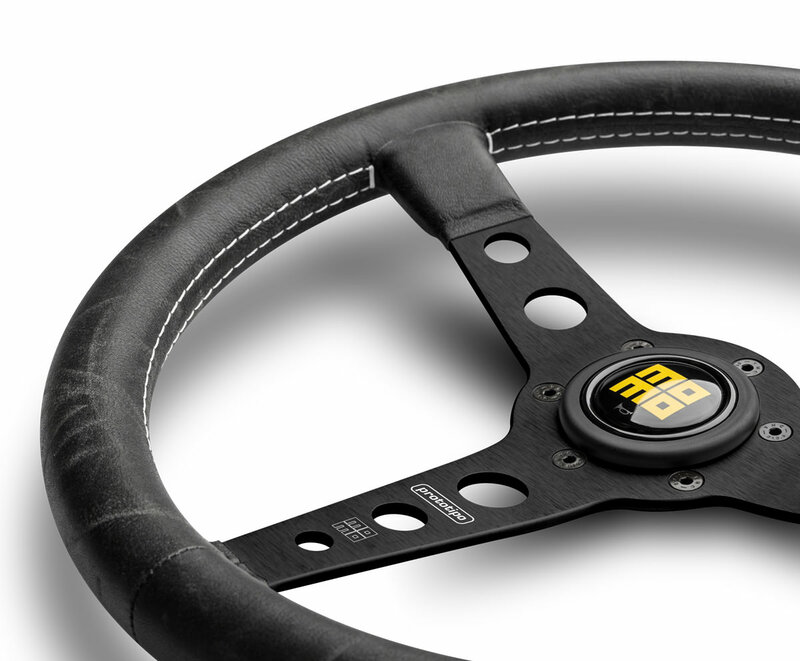 The Momo Heritage Prototipo is unquestionably one of the most highly-regarded and best-known steering wheels in the world, it was developed by the Italian company to be lightweight, and to have a thicker rim that’s favored by many racing drivers. 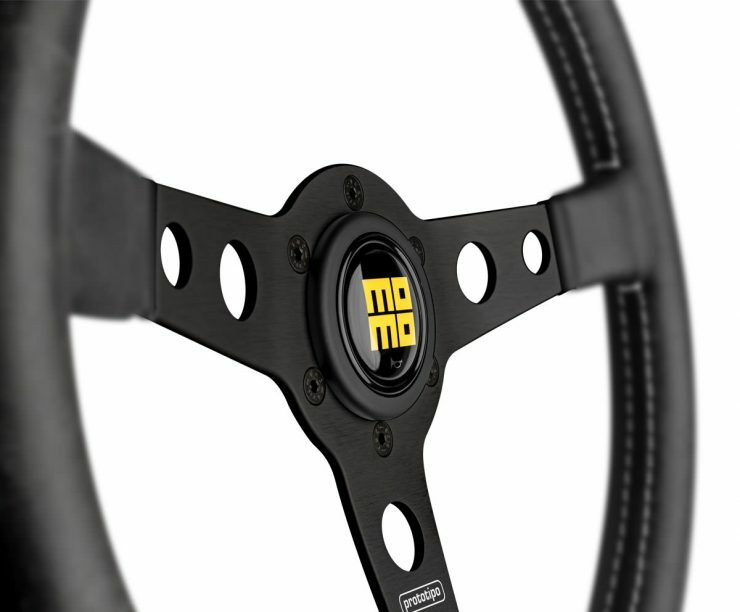 Momo was founded in 1964 by race car driver Gianpiero Moretti almost by accident, he had specified a very specific steering wheel for his own racing car with a thicker, stronger rim. Other drivers noticed this new design and preferred it to the far more common thin-rimmed wheels that were commonplace at the time. Moretti began receiving orders for steering wheels from other drivers, and in 1964 he set up a company in Monza, Italy to manufacture steering wheels to his own specifications. The name “Momo” was chosen as it’s a contraction of “Moretti” and “Monza”, it’s a simple name that’s almost impossible to forget. 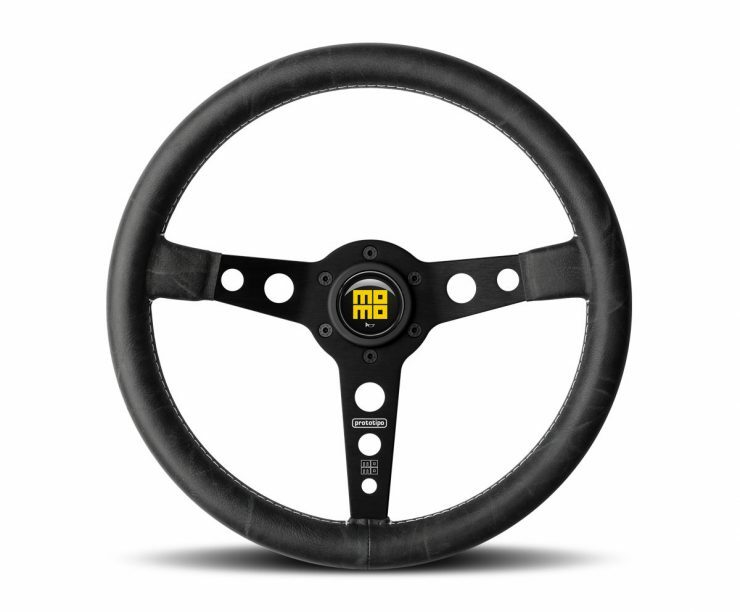 In the years since the company was founded their steering wheels have been used by many of the best drivers in history, including John Surtees, Mario Andretti, Ayrton Senna, Nigel Mansell, Nelson Piquet, Michele Alboreto, Michael Schumacher and before them Niki Lauda, Jackie Stewart, Clay Regazzoni, and many, many more. The Momo Heritage Prototipo is a common sight in a plethora of vintage sports and racing cars, it measures in at 350mm wide, with a 39mm dish, and a 30mm x 29mm grip section. The rim is upholstered in distressed leather, it has a centre horn, and three spokes with drilled holes for lower weight. The post Momo Heritage Prototipo Steering Wheel appeared first on Silodrome.